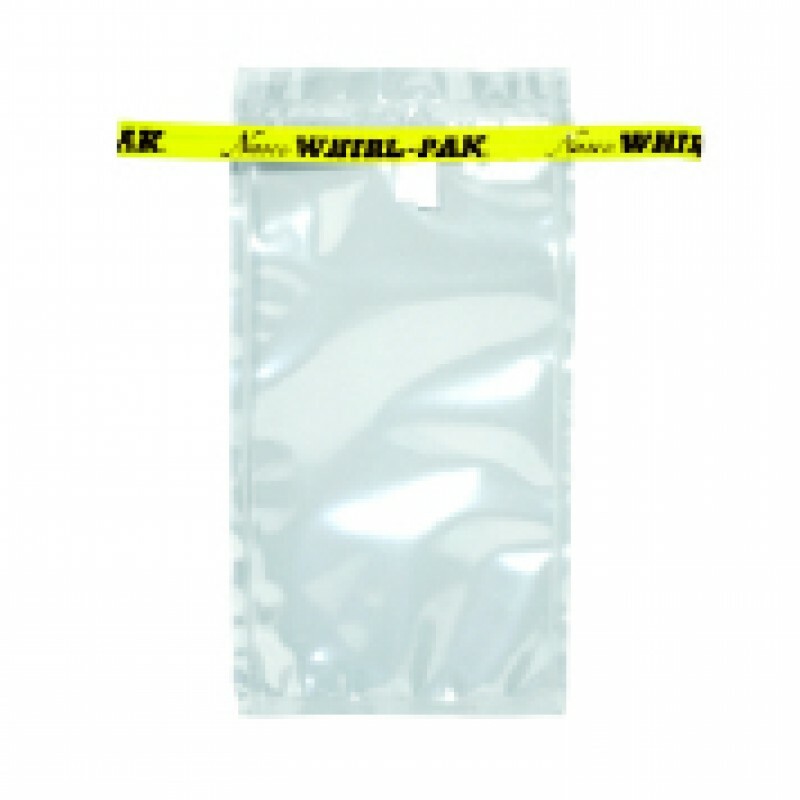 This standard Whirl-Pak lab sampling bag from Nasco is 3.75 inches wide and 7 inches long (9.5 x 18 cm), has a volume capacity of 7 ounces (207 mL), and has a thickeness of 0.076 mm. The capacity of the bag is measured when the bag is closed and the yellow tab is folded over three times. This bag cannot withstand temperatures that exceed 180°C. Bags can frozen to any temperature, including liquid nitrogen, but please be careful handling the bag after freezing. 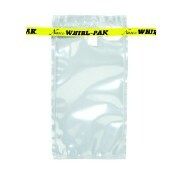 This bag is sterile and contains a yellow closure tab that makes sample identification easier and convienent. These bags come in a Box 500.